Systems at Hancock Health (IN) remain down following a ransomware attack Thursday. I saw no patient advisory on the health system’s website or social media accounts, but its patient portal gives a “this site can’t be reached” error. The health system’s CEO said the attack wasn’t triggered by an employee opening a malware-infected email, adding, “This was not a 15-year-old kid sitting in his mother’s basement.” He declined to disclose the amount of the ransom being demanded. From Pulpy Juice: “Re: KLAS. They should separate reports from a provider who has invested in a vendor in a separate category.I know of two companies that fit this situation, where the glowing reports of customers who own a stake in a vendor are folded in with those of real customers that have no financial interest.” It’s the same as site references or visits, where the supposedly objective peer organization is either being paid by the vendor or owns a stake in it. That situation can be somewhat resolved by asking that the provider and/or vendor disclose any relationships that might compromise objectivity, although you have no way to make them do it or to verify their claims. In KLAS’s case, the only solution I see would be to require vendors to disclose any customer ownership, then skip surveying those organization since KLAS has no way to tell whether the interviewee is influence by (or even aware of) that connection. From Nida Partee: “Re: HIMSS parties. Can you post details of vendor parties that we as providers can be invited to? I think Cerner is having theirs Tuesday night but I can’t find others.” I never get invitations so I don’t know when they are. If you’re a vendor and are OK with providers registering to attend your event, send me the signup link and I’ll run it here. I would be hesitant to mention a “no signup required” party since I have a few dozen thousand readers and you don’t want to be overwhelmed. From Searcher: “Re: searching HIStalk for keywords and showing the results in chronological order. Can this be done?” Yes. 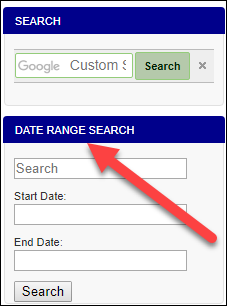 Use the second of the two search widgets, with or without specifying a date range. It’s not as slick as the Google custom search above it since I had some guy create it for me, but it does allow specifying a keyword which then displays the results in date order. It is surprisingly difficult to even display a date on WordPress search results, much less to filter or sort the results by it. From Born Free: “Re: GLG’s expert network. I’m curious about HIStalk readership from both sides – have you joined this or other network or does your company use one?” Readers are welcome to share their experience. It’s a brilliant business model for sure. I joined GLG many years ago in my pre-HIStalk days, specifying my area of expertise and desired hourly rate. They then emailed me occasionally with opportunities to complete a survey or get on a call with a vendor, although 90 percent of the time, that vendor wanted specific experience I didn’t have (such as working daily in the imaging field). Invoicing and payment was online, which was pretty cool back then. I remember getting on a call with an investment guy looking for health IT stock insight and I concluded that he should just recommend or buy Cerner shares. I should have taken my own advice now that I’ve looked up CERN’s historical share price – had I invested $10,000 on that day, my shares would now be worth $70,000. From Allspice: “Re: employee leave policies. My employer, a large EHR vendor, says our maternity, paternity, and family leave policies are competitive. New dads get nothing, however, beyond the standard FMLA. I would be interested in what readers or even company spokespeople have to say about family leave policies.” Readers can email me their company’s policies anonymously and I’ll summarize them here. Poll respondents think a filed lawsuit is newsworthy if it involves a high-profile dependent or makes dramatic claims, although 44 percent agree with me that since anyone can file a lawsuit and make unproven claims, it’s not news until a decision is rendered or a settlement is reached (possibly years later given our constipated, expensive legal system). Furydelabongo says he/she doesn’t care about intellectual property disagreements but likes to hear about those in which there’s an opportunity for public comments. Clustered is interested in lawsuits that resonate with his/her experience or that test some principle, although I would say it’s hard to separate a watershed moment from a plaintiff simply hitching a ride on a popular belief that may or may not be relevant. New poll to your right or here, as suggested by a reader: do you trust KLAS’s product rankings? Click on the poll’s “comments” link after voting to elaborate further. Listening: new from Norway’s The Dogs, one of my favorite hard-rocking bands ever. A reader survey respondent brilliantly recommended a new feature called “What I Wish I’d Known Before …” in which I provide the topic, you provide the answers, and we all learn from them. The first installment will be, “What I Wish I’d Known Before Replacing My Hospital’s Time and Attendance System,” a question you will hopefully answer here. This is a great idea, but it will die quickly if I don’t get enough responses to be interesting. McKesson CEO John Hammergren says Change Healthcare, of which McKesson owns 70 percent, may run its IPO in 2018. 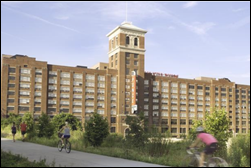 Athenahealth will move forward with previously announced plans to expand its Atlanta office by 40,000 square feet at a cost of $2.7 million. The company cut 60 Atlanta jobs in October as part of restructuring and elimination of 9 percent of its 5,500 jobs nationwide. Ochsner Hancock Medical Center (MS) will replace Evident with Epic. 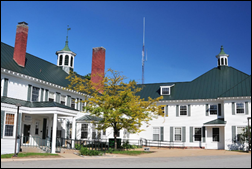 Gunderson Moundview Hospital and Clinics (WI) will switch from Cerner to Epic in 2018. Animas Surgical Hospital (CO) will switch from Harris Healthcare to Cerner in 2018. CVS lists a position for senior product manager of its Boston-based digital innovation lab. 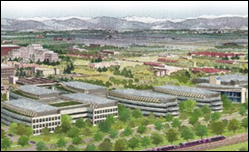 The VA’s Aurora, CO hospital – construction of which the VA has acknowledged to be running more than $1 billion over budget and years behind schedule – won’t have enough positions filled to be fully operational at its planned summer opening and won’t actually be fully completed. The new campus lacks space for a rehab center, so the Denver hospital that the new one replaces will remain in use for at least three years. Total price for the new 182-bed hospital, originally pitched as $328 million, will exceed $2 billion, or $11 million per bed. The project is being run by the Army Corps of Engineers. 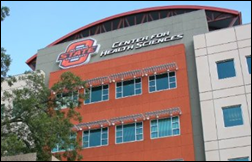 Oklahoma State University for Health Sciences (OK) notifies 280,000 Medicaid patients that their billing information has been exposed to an “unauthorized third party” who gained access to network folders. A frozen parking lot drain causes a sink to overflow in the lower level of an office building that houses the data center of MaineHealth’s Memorial Hospital (NH), causing service interruptions that won’t be resolved until Monday at the earliest when new servers and other equipment are delivered. It’s a seven-to-one ration of male doctors to female. Anesthesiologists are the highest-risk specialty, most of whom kill themselves by overdose and often in call rooms. Outwardly happy doctors often commit suicide to the shock of their co-workers. The death of a patient seemed to be a factor in several cases. Medical students who failed their boards or don’t get their desired residency have killed themselves. Inhumane working conditions and administrative pressure are sometimes mentioned in suicide notes. Sleep deprivation is a factor. Doctors don’t seek help because they don’t trust that their mental health records will remain confidential. 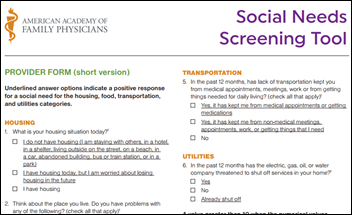 AAFP offers forms that allow family doctors to screen patients for social needs (aka social determinants of health). I’m not sure how this information could be incorporated easily into an EHR other than by manual scanning, however. In Canada, a consultant’s report concludes that Nanaimo Regional General Hospital’s over-budget, behind-schedule Cerner rollout has been mismanaged by Island Health and recommends that further rollouts across Vancouver Island be halted until problems are fixed. The report disputes the perception of the hospital’s loudly-complaining doctors that software is causing patient safety issues. 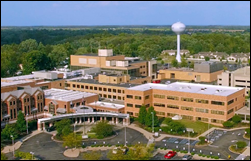 The consultants say the hospital wasn’t ready for go-live, employees weren’t adequately engaged and trained, and the hospital’s toxic climate of distrust made it worse. Weird News Andy says, “Dr. 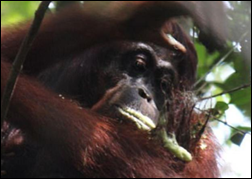 Ook will see you now.” Researchers from the Borneo Nature Foundation filming orangutans catch them creating a muscle-soothing ointment from plants by chewing them into a paste and then rubbing the paste onto the affected joints, piquing the interest of researchers who wonder if the plant’s anti-inflammatory properties could be used in humans. WNA says it’s weird because they could even use their feet to unscrew medication bottle lids. Summit Healthcare will exhibit at the IHE Connectathon January 15-19 in Cleveland. Access will showcase its paperless, web-based eForms, and electronic patient signatures solutions at the 2018 MUSE Executive Institute. I signed up for it and get emails every week or so. At first they said my rate was too high after I raised it since it was kind of inconvenient to just drop everything to fill out the background form (which was mostly repetitive from what was already in my profile) and then not get paid for any prep work I had to organize my thoughts on the subject. I have probably filled out a dozen requests, never hearing anything back as to why I wasn’t selected. I’m interested in the feedback you received on having specific experience because it has always just been silence for me over the last year. I had a similar experience. I am retired now and my rate was similar to what I got for a 9 month clinical informatics engagement with a nationally known healthcare enterprise and someone at GLG suggested it was too high. I have had a few conversations and made several hundred dollars without any prep work. I did reduce my rate a tick, but was underwhelmed with the response. Many of the requests were in a very specialized clinical area but wanted an overview of all vendors. Since my career experience was with one EHR vendor, I got tired of filling out the requests, so I de-activated myself. As an ex-CMIO, ex-vendor employee and career-long HISTalk reader, I thought I might have a desirable perspective, but I guess not. Wondering if others are getting lots of engagements with GLG or Third Bridge? Did the GLC expert thing for many years. Got pretty good response in early years, last 5 have been disappointing. Filled out many request forms (with redundant data) no takers. Many times you talk to new grad analysts at invest firms and they want a 50 would summary of the entire health IT world, do not want to spend more than 15min on phone and expect ‘exact’ answers about specific vendors. Mostly they want to talk to hands on users that will tell them specific good/bad things about a vendor they are thinking of investing in or promoting stock. Is this site your assistant? RE: VA in CO: As an old Army guy I think it fair to state that the Army Corps of Engineers is NOW managing the project after the cost overruns nearly shut down the project. The project was originally managed by the VA as a design build. I wonder if there should be an EHR feature where patients if they’d like can subscribe to access to their record where they get emailed every time it gets accessed with a note on who accessed it and their role. It probably would never get put in for many reasons, but it would be nice to have that option for people that ask for it (celebrities, employees of health organization, etc.). If not email, at least a patient portal where they can check on it periodically. I think that’s a good idea for routine patients. Hospitals probably have this information in their access logs and EHR monitoring systems, although maybe not polished enough to be able to make it patient-understandable, especially in terms of roles. I can imagine hospitals being overwhelmed by calls from anxious patients who didn’t realize that an army of employees (coders, HIM, quality auditors, IT people, etc.) are looking at their EHR records with valid reasons. Hospitals that aren’t doing such snoop monitoring proactively probably don’t have the tools or the interest to outsource that function to patients themselves. After-the-fact notification wouldn’t help celebrities or doctors seeking mental health services very much, though. Celebrities use phony names and that doesn’t help much since word gets around inside a hospital fast. I can completely understand doctors seeking services using a phony name and paying cash to independent mental health professionals, who are equally wary of sharing electronic patient information whose disclosure could create disastrous consequences for both patient and provider. Maybe the real shame is society’s negative view of people who seek mental health treatment for conditions that don’t rule out being a functional citizen. Much of America is stressed, depressed, drugged, and impaired by electronica distraction, so it’s ironic that those same folks think less of someone who seeks help.